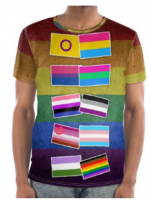 Pride is celebrated annually and relays a number of different messages; from improving visibility and promoting acceptance for those in the community, to protesting for legal protections and rights. Pride – as a result – means something different to each and every person that takes part, most having multiple reasons. Because people often have so many sentiments, some of their interpretations are shared and some are truly unique. One of the most noteworthy Pride messages is acceptance. Therefore we believe that none of these values should be judged. Since day one, at a kitchen table in 2003, Bags of Love has kept values at the very heart of the business. Due to this, even now, over 15 years later, we lovingly hand make all of our products here in our West London studios. Our hearts are huge, and since the day the company was born we have done everything we can to share the love, working with with charities at every opportunity. We are 100% focused on acceptance; we have websites in 14 different countries and all of our operations run out of the same West London office. Since we aim to provide you with a personal service that matches our personalised goods, we employ people from all over the world to make sure that we can answer your calls and emails in your preferred language. Therefore our offices are a fantastic multi-cultural environment, with people from so many different walks of life. While we take every step we can to be as inclusive as possible, we are fully aware that as a nation we can always do better, hence we are proud to say that #PrideMatters, and we support it 100%. 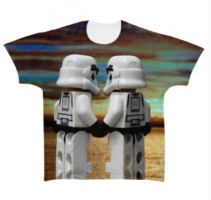 Pride (originally known as Gay Pride) began after the Stonewall Riots, which took place in New York in 1969. In June of that year the police raided a gay bar called The Stonewall Inn, on Christopher Street in a place called Greenwich Village, consequently a group of LGBTQ people began to riot. 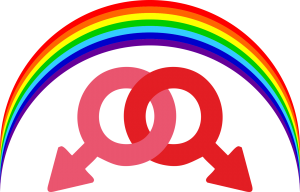 The following June three cities (New York City, Los Angeles and San Francisco) had organised demonstrations to mark the one-year anniversary of the Stonewall Riots. Over time more and more cities throughout America, Europe and eventually the whole world started holding their own demonstrations or special days; as a result it became the birth of Pride as we know it today- festivals, marches and all. 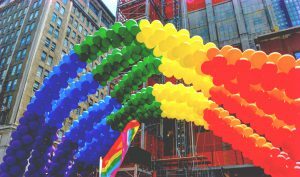 As we know it today, we celebrate Pride in cities all over the country (and world!) with marches, festivals, street parties and all kinds of celebrations. Never short of flamboyance, these celebrations are usually extremely well attended, due to people travelling from all over to make sure they’re there as well as the locals getting involved. A true family affair, these parades are almost all child-friendly, and extremely inclusive. Full of colours, music and most importantly, unity; these celebrations are truly a sight to behold. Have a look at our favourite way to plan for a Pride event below. Because there are so many events all over the UK, it can be tricky to keep track of them all. 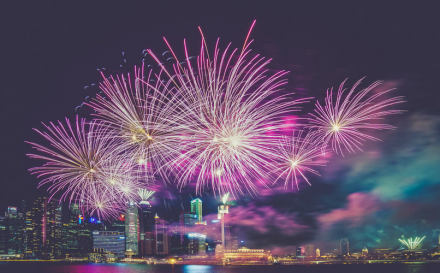 Almost every town or city is doing something to celebrate. As a result, we have put together a list of some of the biggest and most well-known events throughout July. While many are included here, not all of them are, so it’s also always worth checking local websites and flyers and looking up what’s happening in your area. With so many events, it seems like you’ll want to make a note of them; why not keep track of them all with this great pocket notebook? 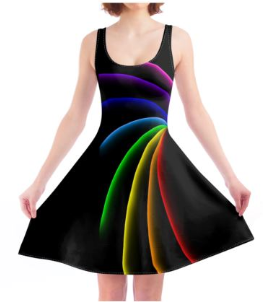 Since Pride festivities take place in the summer, we have a great selection of clothes – including skirts and dresses – perfect for ‘dressing’ for your Pride event. From the modest design, to the opposite, designed-to-stand-out, you’re bound to find something you love. 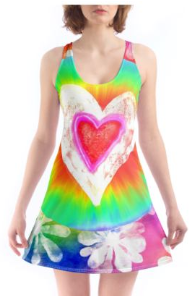 And if dresses aren’t your thing, our clothing line doesn’t stop there! With T-shirts, sweatshirts and jackets, we’ve got something for everyone. 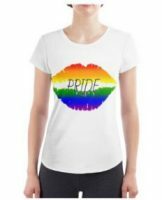 We have a variety of different accessories from belts and ties, to sunglasses and wristbands, all featuring an amazing Pride 2018 inspired design. Browse our range to find the perfect accessory to compliment your outfit. Another struggle is making sure you remember to take everything with you. 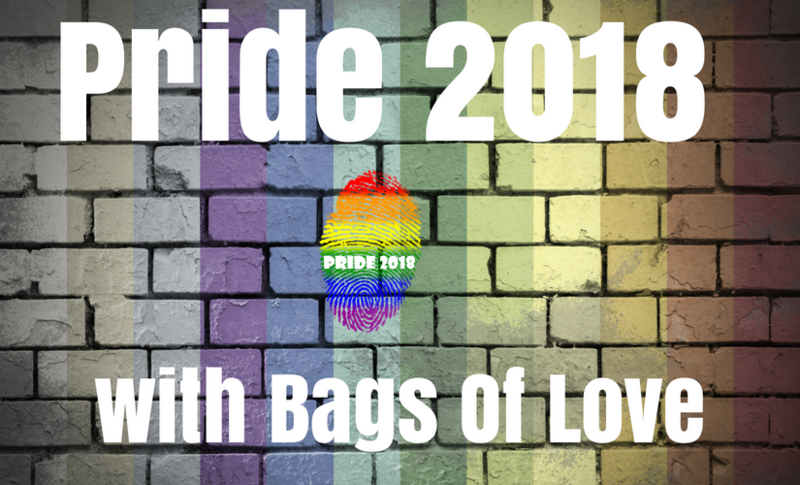 We have bags galore, proudly decorated with Pride 2018 designs and some of the greatest icons in history. You can have one that goes over one shoulder, or on your back, in addition to clutch bags! Whatever your preferred method of carrying your goodies, we are sure we have something to suit you. 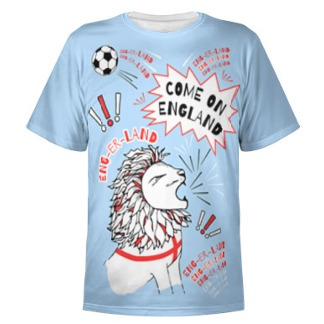 Yep… we’ve even got that covered too! 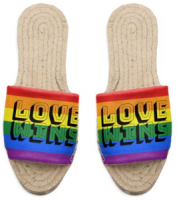 We don’t recommend you pop these iconic Madonna socks on, and this amazing pair of Love Wins Espadrille sandals together, but if you want to…YOU CAN! Since we are not here to judge, and neither should you! Finally, you’re all prepared and ready to go. And it’s almost time to make a move. Most of all you need to make sure that you don’t forget your travelcard, payment cards and any tickets you may need. 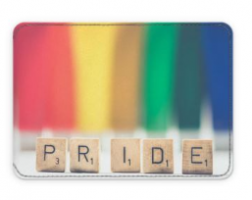 Since we know how easy that is to do, we have a great Scrabble inspired Pride 2018 Card Holder. 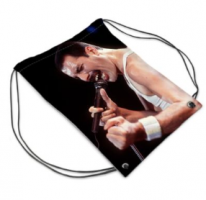 Perfect to help you keep everything to hand.